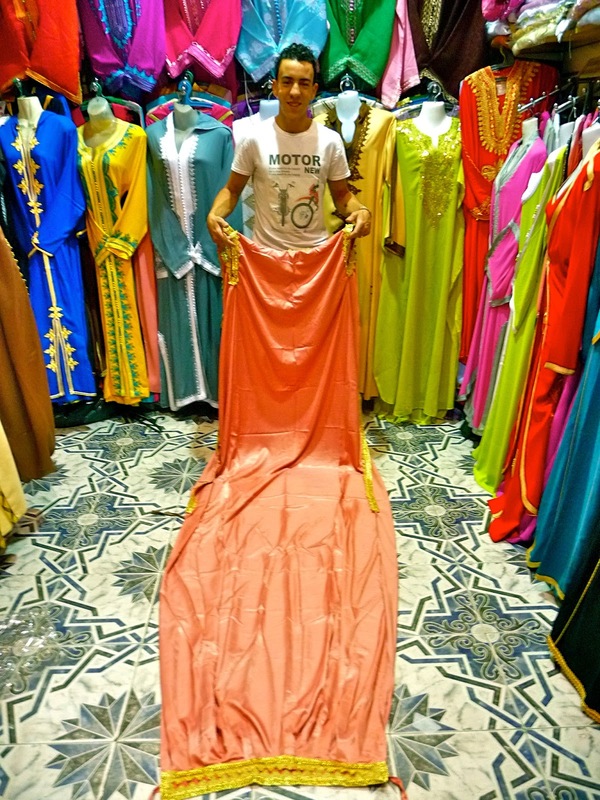 When Mo and Mo asked me to try on a magic jalaba, I was pretty sceptical. We all know there's no such thing as magic, but the Mos wouldn't have a word of my naysaying and insisted I come on in and see for myself. That's Mo and on the left and Mo on the right outside their glamorous boutique which sells a stunning array of the latest kaftans, shakira style belly dancing outfits (hanging above) and of course the MAGIC JALABA. Don't be fooled by those blurred edges, it's not an illusion. 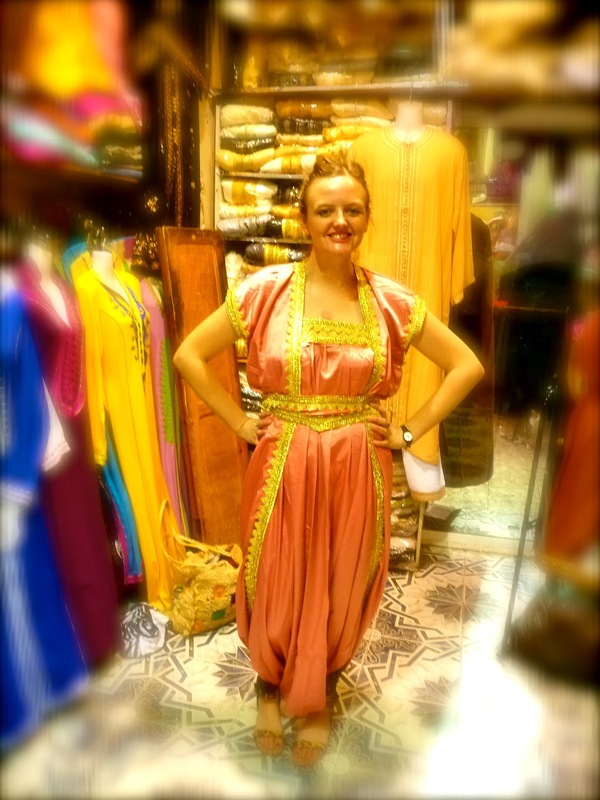 This highly flattering polyester genie outfit is made from the same pink curtain Mo has layed out on the ground above. Magic really does exist!